After posting so many enticing recipes with aquafaba, I had a few requests to type up a blog post about how I make my aquafaba. To be honest, I’ve only used canned aquafaba once. There’s a lot of great reading about aquafaba at Aquafaba.com, including a FAQ by the creator of the first vegan meringue, Goose Wohlt. I’ve tried to make my beans from dry since I purchased my Instant Pot 7-in-1 pressure cooker. Here’s my few minute speech about the Instant Pot – I tend to put large kitchen purchases on hold for a few months until I really know that I’m going to use them regularly. I did not do this with the Instant Pot. It was a bit of an impulse purchase, but I knew it would be put to good use in our house. It has a permanent place on my counter (which I try to keep cleared off) because I use it so regularly. I tend to forget about a pot of beans on the stove or yogurt in the oven, but with the Instant Pot, since everything is kept in a sealed environment, I don’t have to worry about my forgetful brain. I use it as a pressure cooker for beans, rice/grain cooker, yogurt incubator, steamer for seitan, and even for entire 1-pot meals. Basically, this thing is amazing. 1. Soak 1 cup of dry chickpeas overnight (at least 6 hours) in 3 cups of water. Drain soaking water in the morning and replace with 3 cups fresh water. 3. When chickpeas are done cooking, let pressure release naturally. Strain the liquid into a jar. This is usually about 2.5 cups. 4. Cover the cooked chickpeas in a sealed bowl with fresh water. Leave in the refrigerator overnight. Strain off the soaking water in the morning – usually results in another 1-2 cups aquafaba. It will be lighter in color, but should still have good whipping properties. 5. Refridgerate or freeze any unused aquafaba. I’ve used it after a week in the refrigerator with no off taste or smell. 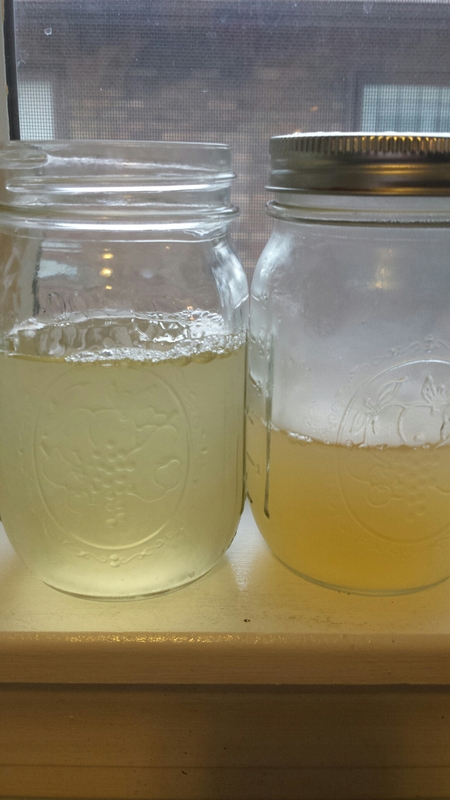 The jar on the left is the “second shift” aquafaba. The second and third shifts will require much larger amount of reduction for use in recipes like macarons or meringues, but as long as there’s still color to the liquid it contains the proteins necessary to whip. When I’m making macarons, I still use 3/4 cup of the second shift aquafaba and reduce it down to 1/3 of a cup. If it’s not gelled into a solid mass in the morning, I add more liquid and reduce again. For the third shift, I reduce down an entire cup or more. It’s a bit hit or miss with the later shifts, but another group member puts all three shifts into one jar, which would stabilize your results. Using this cold water extraction method, I’m able to get upwards of 3-5 cups of usable aquafaba from 1 cup of dry chickpeas. The key is the protein/starch content being released from the chickpea. As long as it’s still in water it’s still releasing it’s aquafaba properties. Goose Wohlt, the creator of the term aquafaba, has also created “supercharged” aquafaba by pressure cooking for up to two hours. I have yet to try this, but if anyone wants to experiment, let me know your results! How do you reduce it? With heat? Does cooking it deplete its properties? And, please, where can I find recipes in a list? I’ve been on several websites and I still don’t know if I need to whip aquafaba before using it as eggs in a baking recipe(cookies, brownies, cakes). You reduce it with heat in a pan until the water has evaporated until it’s a lower amount. Cooking does not deplete it’s properties. The Vegan meringue hits and misses Facebook group us a great place to start for recipe (in the group files.) It does not need to be whipped for recipes where it is a part of the mixture like cakes and brownies. There’s a FAQ on aquafaba.com that I would highly recommend reading! I’d like to make your birthday dacquoise while I’m traveling, and I won’t have a pressure cooker with me. What would recommend for the aquafaba? I’ll have access to a variety of brands of canned chickpeas sold in the midwest. I have heard best results from Goya brand chickpeas and the Aldi organic ones. Anything should work, really! I usually put dry chickpeas is the Instapot without soaking them overnight. I let them cook for 40 minutes, and they taste great to me. Is the overnight soak critical for making aquafaba? What’s the purpose of it? Totally optional, just my preference! Aaahh I soaked a full pound of dry chickpeas last night and I have no idea how to figure out how to get 1 dry cup worth… probably more than 1 cup of soaked… I have no idea how much they soak up. Usually there’s 2.5-3 dry cups of chickpeas in a pound. I would add about 8 cups of water to the pressure cooker, as long as it doesn’t go over the max fill line! Hi, i recently made the aquafaba described above and was wondering if i needed to reduce the first shift to make or is it reay as is? Ready as is, unless you are making something that requires reduction, like macarons. Thank you for writing this up ! In your recommendation for macarons, I assume royal icing would fall under ‘the macaron’ category ? I don’t believe so; try searching for Geeky Cakes royal icing recipe on Google and see what her recommendations are! It’s not something I have made with aquafaba. I was wondering … is there any reason why you couldn’t just mix 1st & 2nd & even 3rd shift concentrations of aquafaba, so that you have just one batch of aquafaba? Nope, you could definitely do so! Hi, is there any reason why you couldn’t combine 1st & 2nd & even 3rd shift batches into one, so you would only have ONE batch of aquafaba? Thank you! Is there a way to make aquafaba without a pressure cooker? Sure, just boil some chickpeas and drain the extra water! 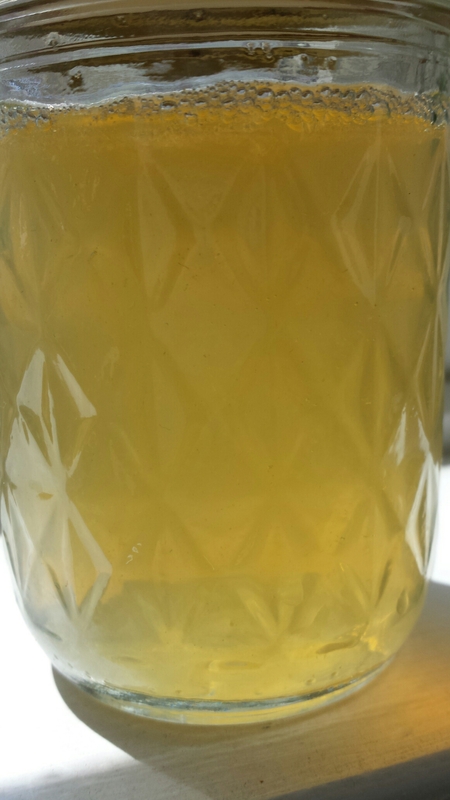 Can you use chick pea juice from a tin? Is that the same? It does not, especially when used to make meringues!